These photos were taken during visits that span many years. 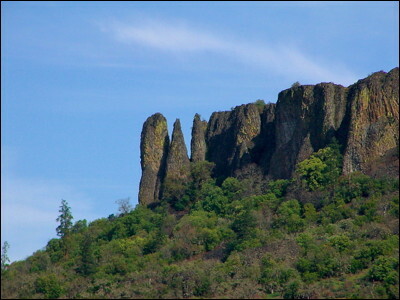 Lower Table Rock is located along the Rogue River in southern Oregon. I first visited the rock when I was five years old, and have been going back ever since. In Takelma mythology, Lower Table Rock is the younger and more foolish of the two Dragonfly Brothers. After a long journey up the Rogue River from the coast, changing the world into more-or-less its present form, they turn into the two Table Rocks and become the center of the Takelma world.